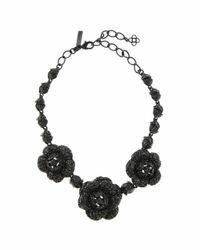 We check over 450 stores daily and we last saw this product for $976 at Oscar de la Renta. 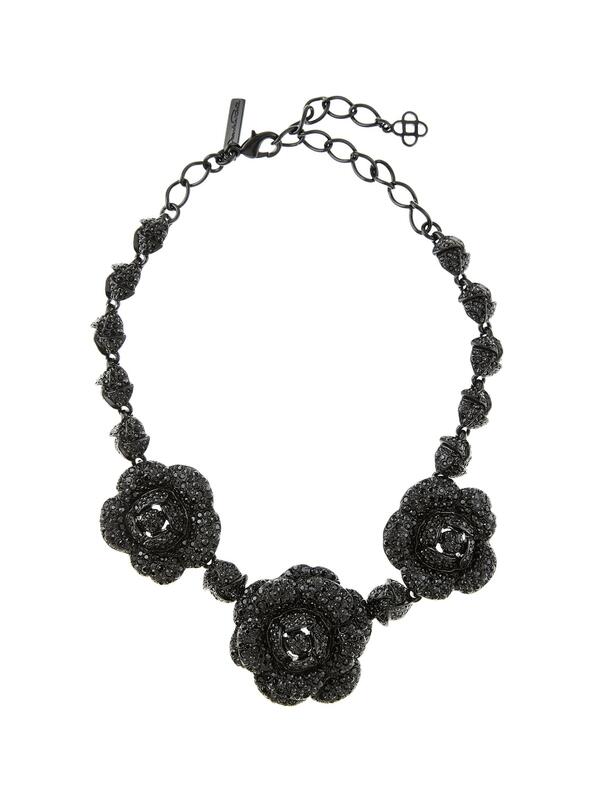 Infused with Oscar de la Renta's signature glamour, this statement necklace is designed with jet-tone gardenia flowers set with pavé silk Swarovski crystals. 14 1⁄2" x 1 3⁄4" with a 4" extender. Pewter / crystal glass / brass. Nickel-free / lead-free / cadmium-free. Made in USA. Free ground shipping & returns on full-price U.S. orders.